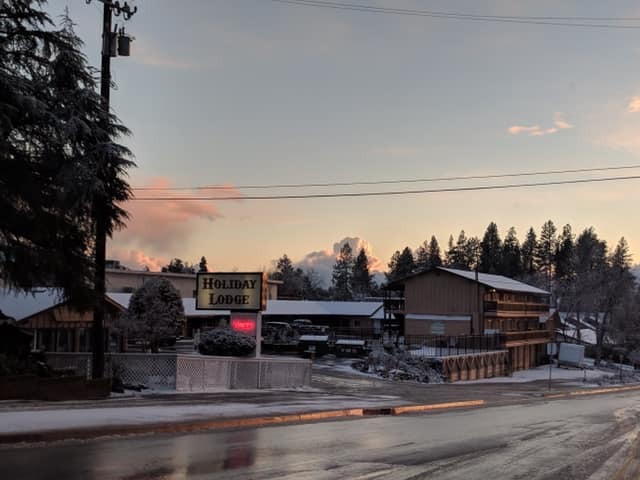 The Holiday Lodge is conveniently located on East Main Street in Grass Valley, California in the heart of the Gold Country, just off the Dorsey Drive exit. 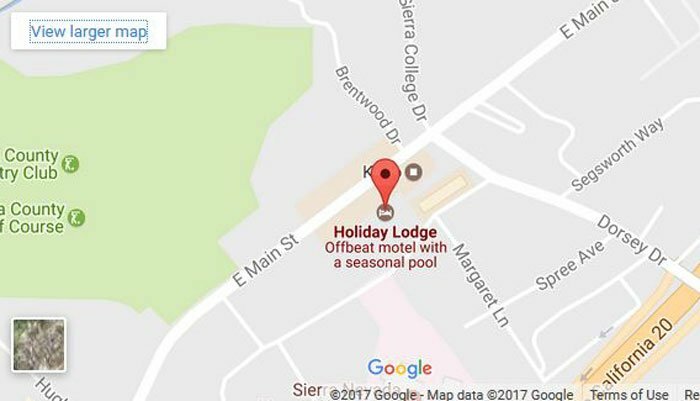 A 35-room motel property, it features themed rooms, a breakfast patio, and a seasonal outdoor pool. 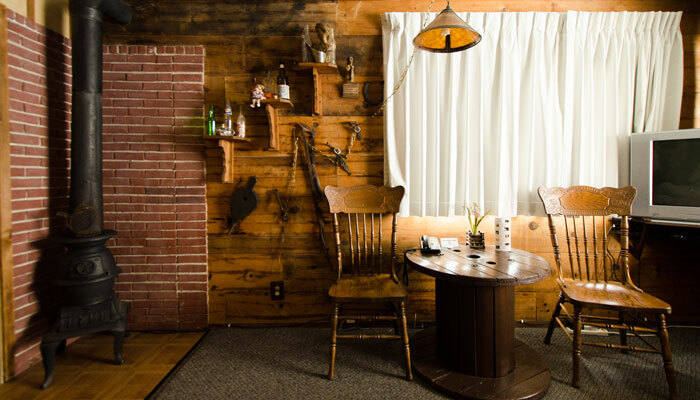 We offer comfortable and affordable accommodations with great dining and more just minutes away.